Posted January 4, 2017 by Bailey Heard & filed under Blog, FeaturedOnHomePage. Hi there! Hoping you had a Merry Christmas and Happy New Year! Since being on the go these past few months for different speaking engagements, I decided to take a couple of weeks off from writing to be fully present with my family. Grateful I did, because I’m feeling re-energized and ready to rock in 2017! I’m excited about what this new year will bring in life, relationships, and business. Recently I was introduced to the term, “kaizen,” which is a Japanese philosophy for “continuous improvement” or the idea of making small improvements every day. While I’ve started consciously applying this principle in every area of my life, I’m honing in on two specific areas due to their importance and challenging nature: Food and Parenting. There are two books in particular I’ll be reading, as I’m continuously hearing others recommend them due to how helpful they’ve been in their own lives. Those books are Whole30 and Parenting with Love and Logic. In the past, I would set some unrealistic New Year’s resolutions and jump into them on January 1st and burn out by January 7th. I’m taking a new approach this year. It’s a slow and steady kaizen approach, instead of my usually fast and furious style. I’m interested in creating a lifestyle, and building one takes time. It especially takes time when it comes to changing the way we think about things and learning how to apply a new belief system. 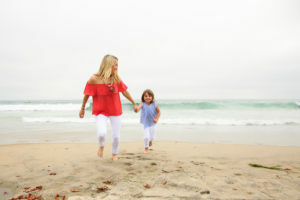 For me, both food and parenting are deeply rooted in emotions, comfort, and habits, so perseverance will be necessary. As a single entrepreneurial mama, improving the building blocks of my life (Faith, Family, Relationships, Health, Business, among others) strengthens my foundation so I have more time and energy for what matters most. Jim Rohn has a great quote, “Success is nothing more than a few simple disciplines, practiced every day.” Getting specific on what to focus on first ensures I won’t burn out from overwhelm, and also helps to determine what’s important and what’s not. The interesting, but dangerous, habit we fall into when it comes to taking action on what’s truly important in our lives tends to be that we often put off that action until the end of the day or don’t take action at all. I’m learning how to train my mind to not spend the majority of my time and energy on the activities that scream the loudest, but on the activities of highest value. The best book I’ve read on this is The 7 Habits of Highly Effective People. It goes into more depth on this topic and the thinking in this book truly changed my life. In my experience, it feels counterintuitive in the beginning to do the most important things first, but once you push past the discomfort and make it happen, it’s amazing how great you feel and how much more energy you have to give to yourself and others. I want to know, what areas of your life are you committed to exploring and making small improvements on each day? I’d also love to know if you’ve read Whole30 or Parenting with Love and Logic, and if so, what did you take away and apply that was most helpful? Thank you so much for sharing! PS – Want to motivate, inspire, and encourage a group, company, or church you are a part of? My message is about “transforming life’s greatest challenges into a purposeful life” and I’d love to come share it! Email me today at bailey@baileyheard.com to book me as your speaker.